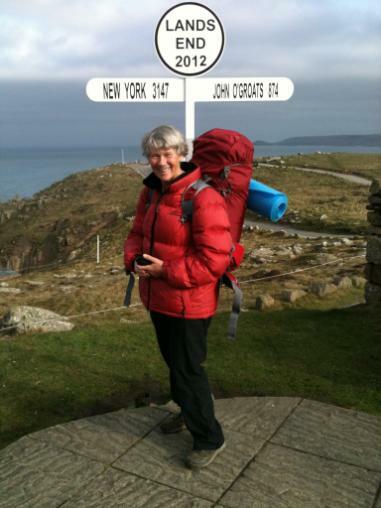 Woodborough resident Marion Smith is in the middle of an epic 1,100 mile walk from Land’s End to John O’Groats, having ploughed through snowstorms, peat bogs and a street sign since she set off in March. 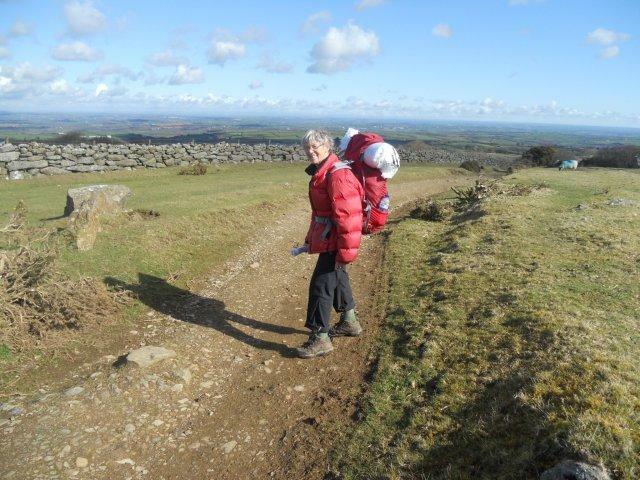 Walking solo and camping overnight, the walk is to mark her 70th birthday this year and to raise money for two charities: Lincolnshire and Nottinghamshire Air Ambulance, and Cancer Research. Marion is maintaining a blog of her journey as she goes, and her endeavours have already achieved BBC coverage. Having walked through the Peak District, she is currently tackling the Pennine Way, with the planned route through Scotland taking her along the the West Highland Way and the Great Glen to John O’Groats. “Walking is something I have enjoyed spasmodically through the years and joining walking groups of my local U3A (Southwell, Notts) has encouraged me to go more regularly. Indeed, some of us have combined with members of the Retford Ramblers on wonderful walking holidays in the Lake District and Spain. So, I have challenged myself to do LEJOG. That is, to walk northwards from the tip of England to the top of Scotland and in doing so to raise shed loads of cash for two very worthy causes. The first is Cancer Research UK. My very dear, late husband suffered from two unrelated types of cancer; my parents and other relatives; and many dear friends have also been stricken. In every case it has been so wonderful to know that research has brought great treatment advances and therefore, realistic hope. So this is a cause that is dear to my heart.